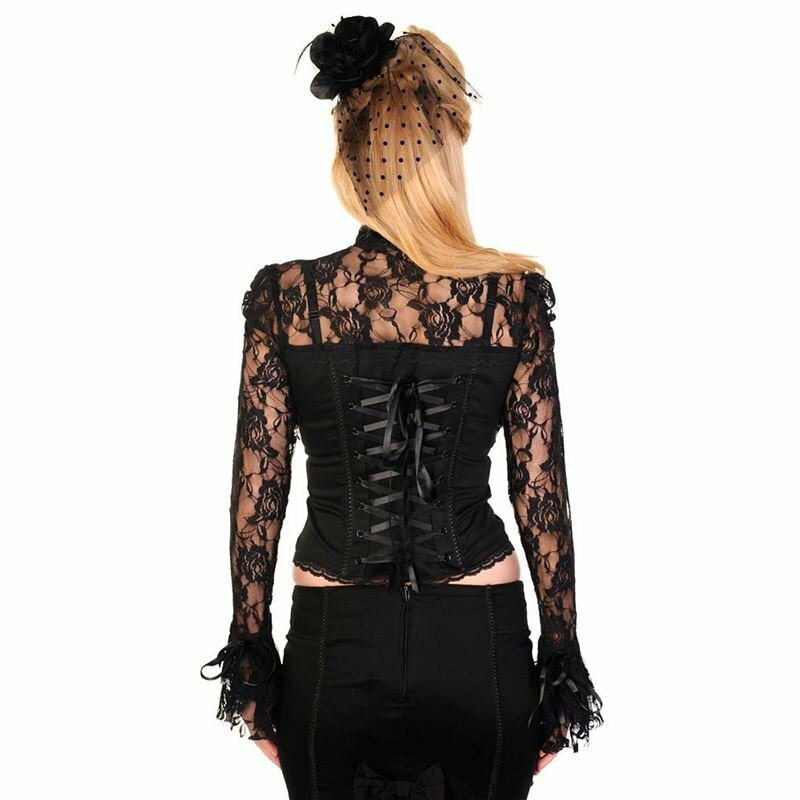 Stretch black cotton gothic style top with stitched black lace bolero top. Black high collar finished with black rose button fastening and lace trim. 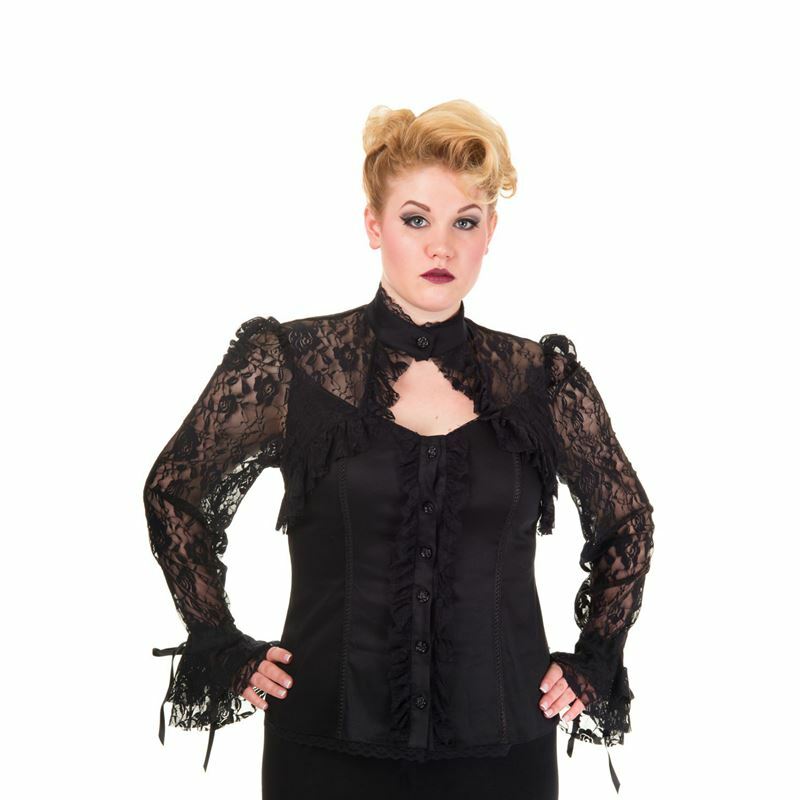 Long stretch black lace sleeves finished with frill and ties. Puff shoulders. Black rose button fastenings down front of blouse. Braided corset bones to back of top plus black satin corset ties. Black lace hemline. Sleeves are longer than average (refer to approximate measurements in size guide). Skirt is not included with the sale.